Join in the fun and learn new skills on Tuesday nights! Enrol now for Term 3 classes at KTC Drama Studio, run by industry professionals. Bring your friends and family! Support Katoomba Theatre Company by becoming a member and experience range of special offers, exclusive discounts and much more! Simply download the membership form, fill it out and submit it. 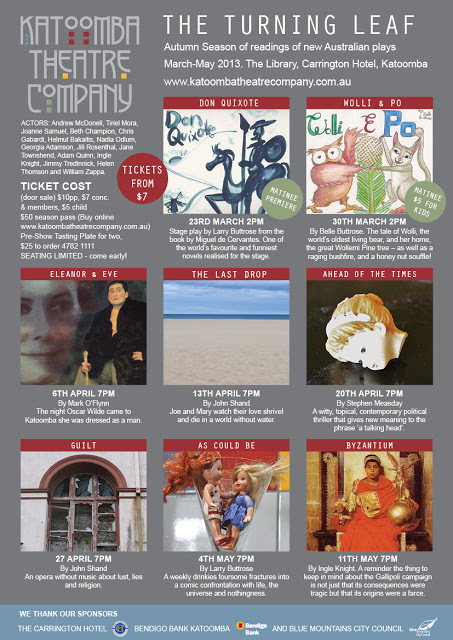 KTC’s Autumn Season of Play Readings and New Australian Plays return in March.